An ancient medicine that was used to treat digestive, heart, and skin conditions is now being promoted primarily for weight loss. Forskolin is a perennial herb of the mint plant Plectranthus barbatus, native to India and East Africa. Traditional uses include treatment of stomach pains, skin wounds, allergies, infections, rheumatism, cancers, high blood pressure, and as an oral contraceptive. It has gathered national attention recently with its appearance on various talk shows, including The Dr. Oz Show, introducing forskolin for weight loss. We weigh the pros and cons to uncover the possible forskolin benefits and its effects on our body. What Studies Suggest Forskolin for Weight Loss? According to Dr. Josh Axe, of draxe.com, there are just two trustworthy studies regarding weight loss and forskolin research. Another similar study was done on lab rats. In 2005, a 12-week study conducted by the University of Kansas involved 30 overweight men, split in two groups. One group was given 250 milligrams of a 10% forskolin extract and the other a placebo, to be taken twice a day. Results showed the forskolin decreased body fat percentage and fat mass, increased in bone mass, and testosterone levels. As far as weight loss, the participants did not lose weight. That same year, Baylor University conducted a similar study and published their findings in the Journal of the International Society of Sports Nutrition. Here, 23 overweight women were split into two groups and given the same dosage as in the first study, for 12 weeks.Results were strikingly different as the females did not have any changes in body composition, such as fat mass. There were no changes in the metabolic markers or blood lipids either, as in the men’s study. The lack of change in the fat mass indicated there was no new development. The forskolin group reported a decrease in hunger, fatigue, and fullness. Aside from these effects, there was no difference in the two groups of women. “In these studies, scientists determined that forskolin did not seem to promote weight loss, but it may help prevent weight gain,” Dr. Axe stated on his website. “Forskolin, while offering some benefits and potentially helping managing obesity by preventing additional weight gain, does not ‘melt away belly fat’ – at least, according to scientific evidence.” He also noted forskolin did not present any “clinically significant side effects” in these studies. Through these, and other scientific research, it has been suggested there are several health benefits to using forskolin. Researchers are one step closer in the pursuit to treat Alzheimer’s with a 2016 study on rats and forskolin. As published in the Journal of Neuropathology and Experimental Neurology, forskolin use decreased several major physical effects of Alzheimer’s, including plague and inflammation of sections of the brain. In the fight against cancer, forskolin may aid in slowing, or stopping, the growth of tumors in certain rectal cancers. It is also suggested there may be cell death of multiple myeloma cancer cells. 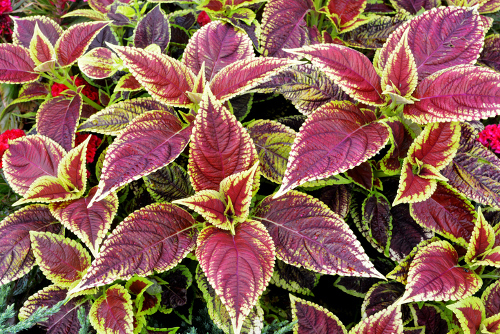 When combined with chemotherapy drugs, forskolin has reduced side effects of treatment. From the results of the two mentioned studies, forskolin did not increase the fat mass, thereby preventing weight gain. A 2011 study of a topical weight-loss product showed a decrease in physical fat appearance and cellulite appearance when forskolin was combined with tetrahydroxpropyl ethylenediamine, caffeine, carnitine and retinol. A published 2014 study in the International Journal of Medical Sciences, compared forskolin use on glycemia and oxidative stress on rats. After an eight-week study, it resulted in a decrease of fasting blood glucose levels. While more research must be done to support levels in human diabetes, it showed its effectiveness on maintaining normal blood sugar levels. To study the traditional medicine’s use on heart conditions, a study in India showed it was successful in reducing the blood pressure in 75% of participants. In addition to using forskolin, patients with high blood pressure can ensure their diet consists of high-potassium foods, reduce high-sodium foods, maintain regular exercise, and reduce stress. In its traditional medical use, forskolin has been used to prevent asthma attacks. One study has shown it was more effective than the prescribed cromoglicic acid inhaler in its participants to prevent attacks. The steroid treatment of beclomethasone was tested in another study proving forskolin is a natural treatment option as no difference was reported between those taking the herbal treatment versus those taking the prescribed inhaler. Forskolin has been used as a natural treatment for glaucoma symptoms, whether it is injected into the eye or taken orally. In an Italian study, participants who had exhausted all treatment with no change in intraocular pressure were given oral forskolin with rutin. This resulted in improved pressure levels. Eye drops containing one percent of forskolin is another proven option to avoid the side effects of beta blockers and prostaglandin analogs. If you decide to add forskolin to your daily routine or as a treatment, there are a variety of methods to choose from. It can be used in powder form as an over-the-counter supplement, prescribed in inhaler form for asthma, or as an injection for glaucoma treatments. Many online companies offer it as a supplement or pure form in their promotions for weight loss. To use to reduce body fat, the Kansas study had men take 250 milligrams of 10% forskolin supplement, twice a day. Some supplements sold online have 10 to 20% of forskolin listed as an ingredient. It has also been suggested to take forskolin at least 15 minutes before a meal. On the weight loss scene, forskolin and garcinia cambogia have been discovered to offer similar effects. Garcinia cambogia is categorized as a natural weight loss supplement. In comparing the two, there are significant similarities and differences. Are There Any Side Effects of Forskolin? As seen in various studies, there are very few mild side effects of using forskolin, depending on your health condition. With weight loss studies, there has not been any side effects to report. In a study of genetic material, it was found there could be genotoxicity, which is the DNA destruction that leads to mutations and cancer. It has also been known to cause rapid heartbeat and should be stopped if experienced. There are certain patients who should not take forskolin as it can interfere with current treatments or may present major effects. This includes pregnant and nursing women, people with low blood pressure, those prescribed with beta blockers and nitrates for chest pain, and those having surgery within two weeks. Women with polycystic ovarian syndrome, PCOS, should not take forskolin as it can increase the size of cysts. During treatment with forskolin, asthma patients have reported tremors, restlessness, cough, and throat irritation. Patients receiving it as glaucoma treatment complain of stinging during the intravenous eye injection. We all want a quick fix to our health issues, especially when it comes to weight loss. Forskolin has been successfully treating various ailments since ancient times. With the knowledge that it has been used for heart conditions, healing open wounds, and respiratory conditions, the idea of having a natural herbal medicine for treatment is an exciting one to many of us. Although there are no known side effects when it comes to weight loss management, forskolin is not recommended for everyone. As with any new treatment, natural or not, it is best to discuss all concerns with your doctor. Fenugreek Seed Benefits for Weight Loss, Diabetes, Hair, and More!